Over the years there have been several tragic accounts of paddlers having an accident, a medical emergency, or experiencing severe life-threatening weather, resulting in a sad outcome. Many of these stories have one thing in common: an inability to call for help. While you may think these incidents occurred in remote locations, some of them took place just offshore of heavily populated areas. An event that took place just off Ocean Beach/San Diego had a good outcome, but could have been much different if not for one thing: sheer luck. An outrigger was out by himself on a day when there was a mild Santa Ana wind blowing offshore, and was within a mile of “Dog Beach”. He suddenly tipped over, and found himself in the water a short distance from his boat, which was moving away from him in the wind. He looked for his paddle, but could not see it immediately, and knew he needed to get to the boat fast. When he got back on the outrigger, he saw the paddle some distance away, and tried to “hand-paddle” to reach it, but the wind and current prevented that. He could see several people on the beach and pier, and tried yelling and waving to them for help. A few saw him, and simply waved back, not knowing his situation, and unable to hear him. As dark began to fall, he could see Pt Loma getting further away, and became very concerned. As luck would have it, a fishing boat came his way as it was heading back to port, and picked him up. Because he lacked critical safety items as an outrigger paddler, this incident could have been a fatality. Kayakers should never paddle alone on open water, but if you do, you should always have 9 items that can help save your life: a paddle tether, a signal device, GPS, map and compass, a life jacket (worn on you), paddle float, bilge pump, and a communications device. These should always be standard equipment, even when paddling with a group. I cover the signal devices in the article “Bright Colors and Signals for Safer Paddling”, so effective communications devices is the issue here. VHF – Having a VHF radio tethered to you (not your boat) gives you immediate ability to call for help, check the weather forecast, and can keep you in contact with others in your group (why the “Point” and “Safety” paddlers should both have one on a group paddle). These radios only work on a “Line of Sight” signal, and because we sit in our boats at sea level, the earth’s curvature causes that distance to the horizon to be limited to only 1.7 miles out. The Coast Guard operates the “Rescue 21 Distress System“, a network of VHF transceivers and antenna high-sites which are remotely controlled by Sector communications centers along our country’s shores to provide coverage extending out to at least 20 nautical miles from shore. This is why the Coast Guard can pick up a distress call on channel 16 when other boats just over the horizon cannot. 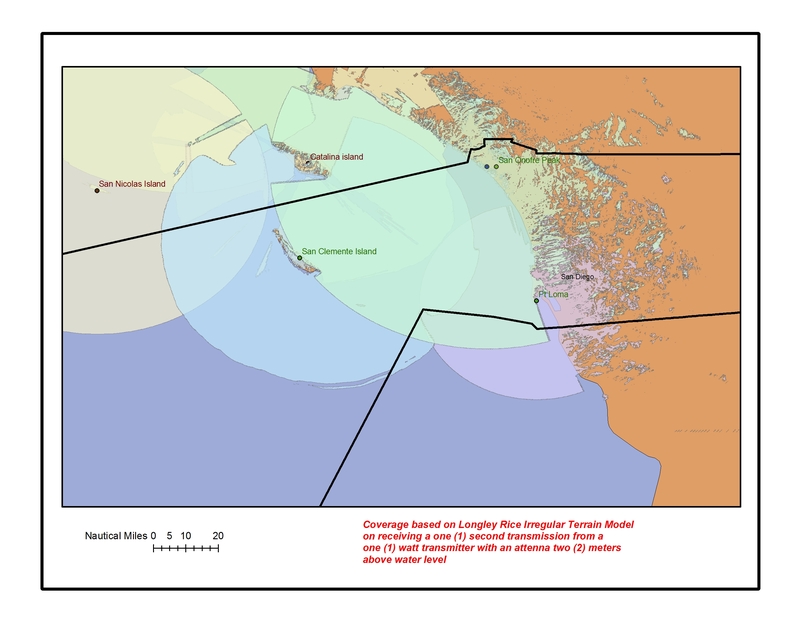 According to the local Coast Guard Station, there are no “radio shadows/voids” in our area, even off the tip of Pt Loma. The best VHF radio to get is one with built-in GPS, waterproof and floating, and equipped with a dedicated DSC emergency key, an “SOS” strobe light and a Power Boost key for instant 6-watt transmitting power. Built-in Class D DSC call functions should include distress, individual, group, all ships, urgency, safety and DSC test. All these features can be found in the West Marine VHF 460. While Digital Selective Calling (DSC) is mostly helpful for distant offshore boating of larger vessels, this feature can be of use to the kayaker, especially in more remote areas, or cases where you need to quickly call for help, then immediately give aid to someone. With one push of the DSC Distress button, the radio sends out a repeating digital signal that, because of the processing and narrow bandwidth, provides a signal which is resistant to noise and fading over the radio path. This results in an increased range over a voice transmission, and is coded with your unique identification and information. That means you can quickly press the button, then attend to the emergency at hand, while the radio keeps sending out the distress alert. The responder receiving the signal automatically has some vital information, including your Lat/Lon for sending help, which is then followed up with voice communication. To utilize this feature, you will need to obtain an MMSI number, which is free if only needed on US waters. Note: Only use this for life-threatening emergencies. Distress signal “MAYDAY”, spoken three times. The words “THIS IS”, spoken once. Name of vessel in distress (spoken three times) and call sign or boat registration number, spoken once. As a kayaker, simply say “KAYAKER (and your name)”, or “SAN DIEGO KAYAKER”. Repeat “MAYDAY” and name of vessel (or “KAYAKER”), spoken once. Nature of distress (sinking, medical issue, etc.). Number of persons in your group, ages (adult or youth). Any other information which might facilitate rescue, such as number of persons needing medical attention, color of your kayak deck and hull, and color of your clothing and life jacket. CELL PHONE – A cell phone should be considered back-up for the VHF, and has limited range off shore, and slower ability to indicate your location or direction as compared to using a VHF. Some carriers have the “*CG” feature for calling the Coast Guard quickly, so check on that. 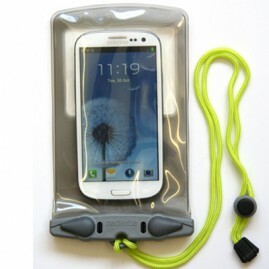 If you take your phone paddling, always put it in a waterproof bag. Aqua Adventures carries the “aquapac” line of waterproof bags with tether. And, like the VHF, the phone should be tethered to you, not the boat, in case you find yourself in the water, separated from your boat. While the Mission Bay Life Guards, and the Oceanside and San Diego Bay Harbor Police Departments monitor VHF channel 16, they also have separate emergency phone numbers, but simply calling “911” will also quickly reach the needed center for help, and is a number that is fast to use. When making the call, give the same information that you would using a VHF. If you are relying on a cell phone for calling for help, you should always have a GPS or compass also. Before you make the call, check your GPS for your Lat/Lon. If you do not have that, take a bearing on two landmarks if you can, and relay that information. By knowing those bearings and landmarks, the Coast Guard will have the ability to ascertain your location by triangulation, which will make the rescue time they get to you much shorter. Without this information, the Coast Guard can still determine your location by contacting your carrier, but this takes time. In very remote areas where you are most likely beyond contact by VHF, you need to also carry another device to call for help. There are various features on these, and some have the ability to send/receive text messages. 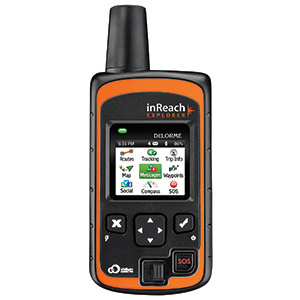 The SPOT Gen3 Satellite Messenger is at the entry level of features, while the DELORME inReach Explorer Satellite Communicator has several more features. Both have the ability to track your movement, and both require a subscription service to activate the features. 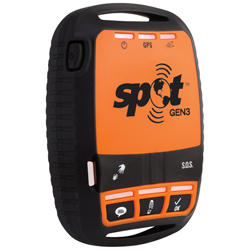 The SPOT communicates with fixed satellites, while the Delorme depends on moving satellites, which means periods of inability to transmit. 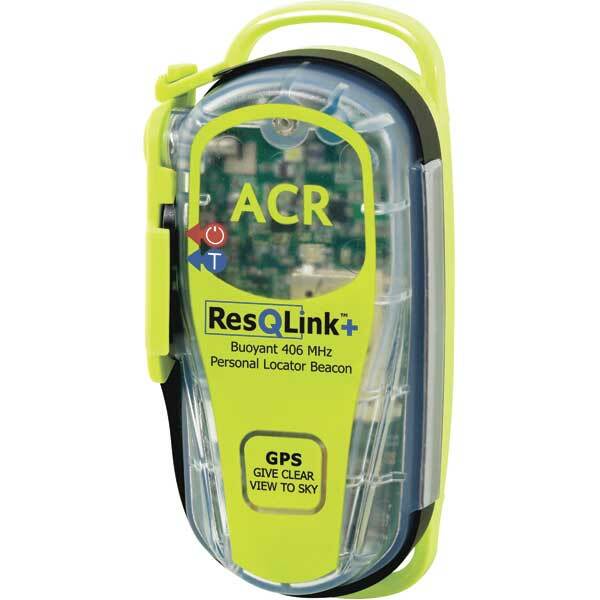 A third choice is the ACR ResQLink, which is a compact Personal Locator Beacon not requiring a subscription service, and operates like an EPIRB for quick and reliable emergency signals. 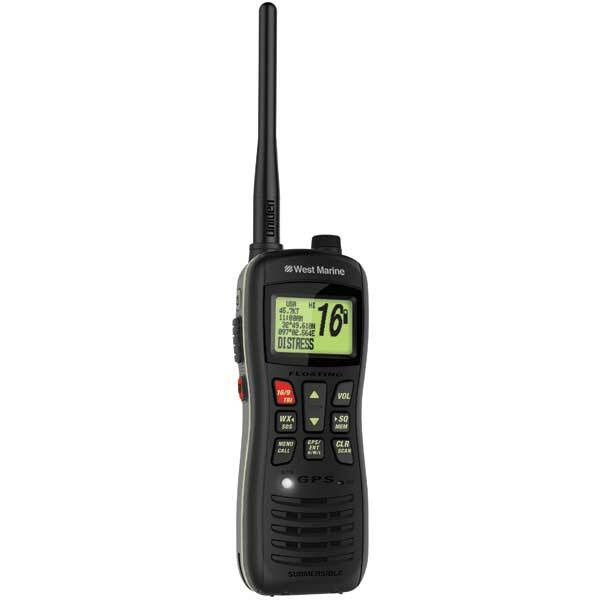 These satellite devices can be found at West Marine online, or at their stores. The best communication device is worthless if the battery is low and stops working. A noted kayaker in Southern California lost his life years ago partially because he went out without charging his VHF radio battery the night before what turned out to be his solo paddle off Ventura. Carry an extra battery if possible, and a recharging device on longer paddles. There are good solar panels and battery boosters that are compact and affordable. Look for the ones that are water proof, or at least water resistant. Be prepared, and carry the proper safety items. Before every open water or remote paddle re-aquant yourself on the features of your electronics. Forgetting how to use something can lead to a delay in getting help, or worse. These items are expensive, but not having a life-saving device can cost you everything.